Brian Lynch On Piano Jazz Trumpeter Brian Lynch possesses an impressive command of the jazz spectrum. Often called upon by bandleaders from Latin, straight-ahead and bebop camps, he won a Grammy for Best Latin Jazz Album in 2007. Here, Lynch joins guest host Jon Weber for a set of original tunes and a few standards. Brian Lynch performs a set of his original tunes and a few standards in this Piano Jazz session. 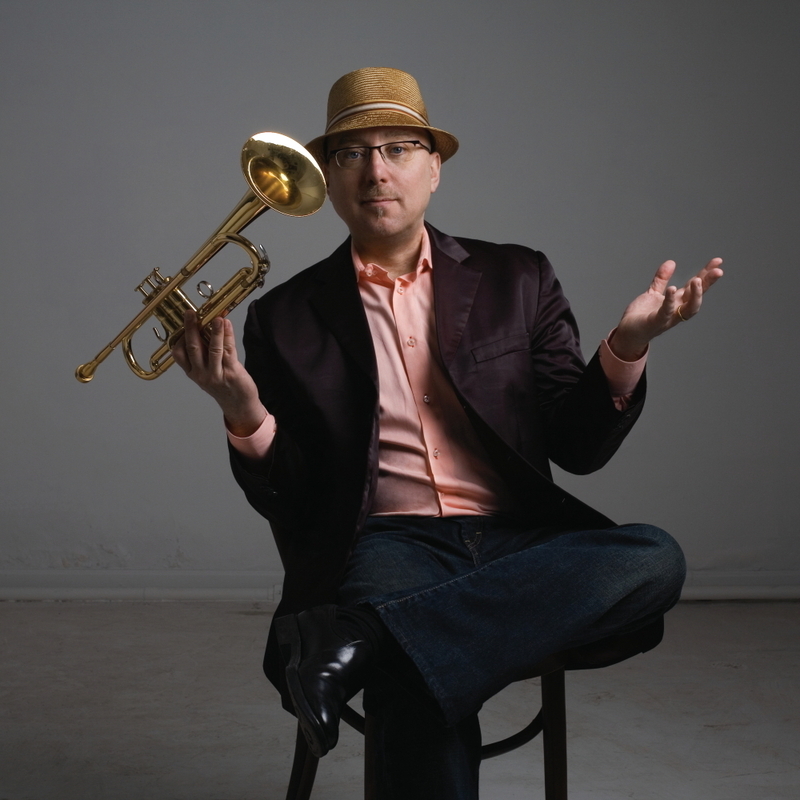 Trumpeter, composer and bandleader Brian Lynch brings a masterful, wide-ranging sound to this episode of Piano Jazz with guest host Jon Weber. Lynch was born on Sept. 12, 1956, in Milwaukee, Wisc., where he studied at the Wisconsin Conservatory of Music with Buddy Montgomery and Melvin Rhyne. After a short stint on the West Coast, Lynch came to New York in 1981; he spent the next decade working under some of the heaviest names in jazz, including the Horace Silver Quintet, Art Blakey and the Jazz Messengers, Phil Woods and Benny Golson. In the late '90s, Lynch began playing in — and eventually arranging, composing and directing — Afro-Caribbean ensembles. This work culminated in Simpatico (The Brian Lynch/Eddie Palmieri Project), which won a Grammy for Best Latin Jazz Album in 2007. Lynch kicks the session off with a few original tunes devoted to trumpet innovators past: "Woody Shaw," "Tribute to Blue (Mitchell)" and "One for Mogie," which recalls the hard bop sound of the great Lee Morgan. 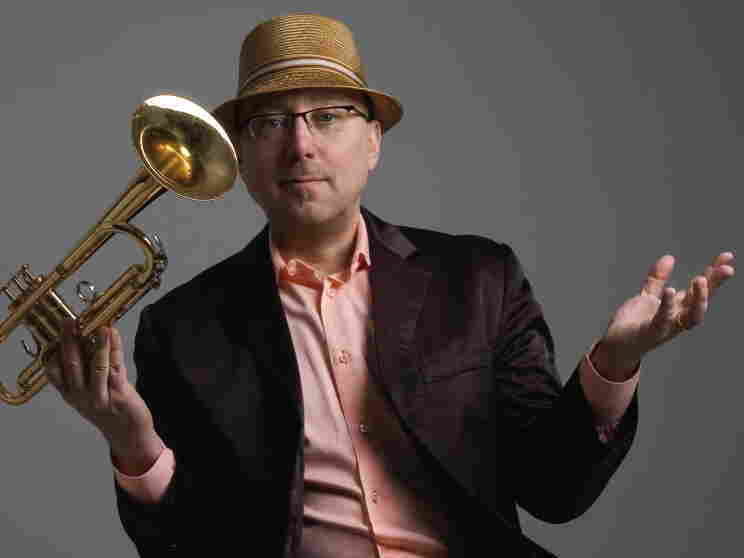 The Latin side of jazz, specifically the Afro-Caribbean, has occupied a sizable slice of Lynch's performing and recording career for the past 15 years. "Que Seria La Vida?" ("What Would Life Be?") is a slow-burning bolero written by Lynch with words by Lila Downs. Weber keeps time as Lynch's trumpet smolders in this soulful tune. Lynch and Weber pay tribute to the creator of Piano Jazz, Marian McPartland, with their faithful rendition of "Portrait of Dizzy," a tune she improvised on the spot during a 1985 episode with guest Dizzy Gillespie. Weber holds down the changes as Lynch plays a beautiful lead with bell-like clarity. McPartland's original take was just more than two minutes in length, and Lynch and Weber enjoy stretching out over the tune for five and a half minutes. "Wow, she improvised that?" Lynch exclaims. "Great harmonic sense." "How hip is Marian?" Weber adds. The session ends with Cole Porter's "So in Love" played at breakneck speed. Weber sets a quick tempo for Lynch's opening solo, then pushes the accelerator to the floor for a few bars of blazing keyboard work. Lynch follows with a swift line of his own, showing his own considerable chops. It's a playful game of catch between two veteran players to close this installment of Piano Jazz.